This involves directly applying a metallic material in the tooth. 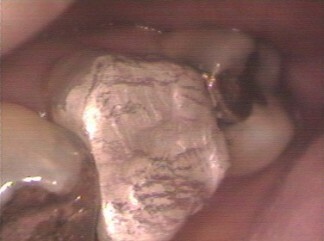 This is mainly amalgam where the material is soft when mixed but hardens in a short time. The numbers at the end indicate how many sides of the tooth are involved with the filling. So 511 is one side up to 515 which involves all 5 sides of the tooth. This could be for front (anterior) or back (posterior) teeth. 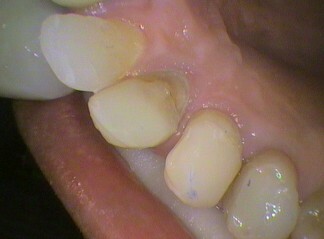 This is the application of adhesives and tooth coloured materials to bond the filling to front teeth. A front tooth is from the left canine to the right canine. Again the numbers reflect the sides of the teeth involved. 521 is a one surface and the 525 is all five surfaces of the tooth. This is the same definition as for front teeth except it’s for back teeth. The cost is usually more than for front teeth due to the access, greater volume of material and considerations of the bite. These fillings are made by a technician in a laboratory from models or scans a dentist makes. They are then cemented into the tooth. This usually made from gold and again the numbers reflect the number of surfaces involved. The material sits within the shape of the tooth and is cemented into the prepared tooth. This usually made from porcelain and again the numbers reflect the number of surfaces involved. The material sits within the shape of the tooth and is cemented into the prepared tooth.